Ordio Cables BNC Miniature HD Video Cable features Belden miniature cables and Amphenol BNC connectors. 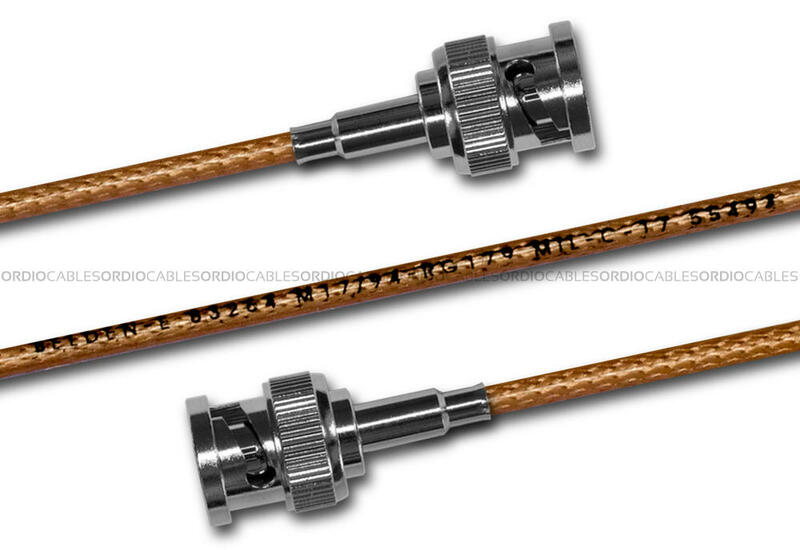 Our BNC Miniature HD-SDI Video Cable features Belden 83264 30 AWG stranded 75Ohm Coax video cable and Amphenol low profile BNC connectors. The Belden 83264 is the ideal choice for our BNC Miniature HD Video Cable, it features is a 30 awg stranded (7×38) .012″ silver-plated copper-covered steel conductor, TFE Teflon® insulation, silver-plated copper braid shield (95% coverage), FEP jacket. 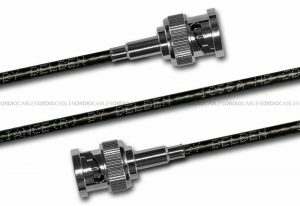 Our BNC Miniature HD-SDI Video Cable is most commonly used in OB broadcast applications and short run HD-Video applications and post production suits. Our BNC Miniature HD Video Cables are very handy as they are very light, semi-semi-flexibale yet durable, many free-lance camera operators prefer this cable due to it’s extremely low profile and ability to handle SD and HD applications. Every single custom cable we make is hand crafted right here in Sydney Australia, we proudly use genuine Canare cable and Neutrik connectors. This BNC Miniature HD-SDI Video Cable will be made to order and fully tested before dispatch. Ordio Cables are highly regarded as Australia’s leading custom cable supplier fit to terminate almost any and every cable type ever needed. Our clients come to us through direct recommendation, once on-board they regularly rely on our fast turn around and professional craftsmanship. Many of our customers also come to us for the many other products and services we offer, talk to us today about how we can streamline your production company. We offer a lifetime warranty on all our cables, this means that the craftsmanship of our work on this BNC Miniature HD-SDI Video Cable will be under warranty for life, parts will be covered by the manufactures limited warranty terms. adipiscing pulvinar Aliquam sit ut Donec vel, neque.